Area Rugs Need Love Too! Expert cleaning, repair and restoration. Persian, Pakistani, Afghani, Oriental, Indian. Antique rugs are handled with extra care. All imported and domestic rugs. Special care, washing or dry cleaning. Restoring moth and water damage. Re weaving and patching holes. Each area rug is properly cleaning at our cleaning facility. Cleaning method is specially selected for each rug based on the rug's weave, fibers, age, and dyes. 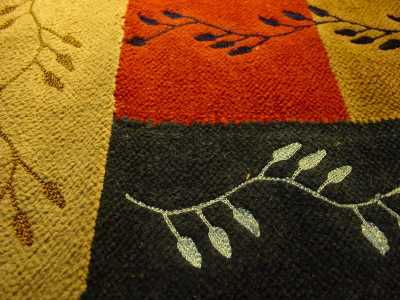 You know your rug needs some TLC, we want to provide it. Wouldn't it be nice if the rug smelled fresh and looked new again?